In the aftermath of a severe storm, it is often not only the shutters left shaken. Strong winds, heavy rainfall, and hail can turn a beautiful home into wreckage. 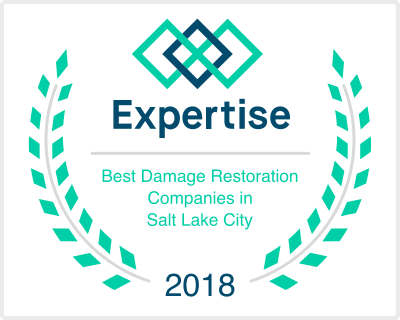 In our years working in storm damage cleanup, our Salt Lake City, Utah professionals at Disaster Doctors have seen just what bad weather can do, and in many cases the damage was preventable. Fortunately, there are steps you can take to minimize your risk of exterior home damage during bad weather. 1. The biggest risk to the outside of your home comes from what FEMA calls “Windborne Missiles.” This applies to anything that can be picked up by the wind and flung against your home, which is one of the most common reasons a storm damage restoration company is later needed. This is also one of the most preventable types of damage. Objects such as barbeque pits, garbage cans, and patio equipment should be brought indoors or anchored down. Even outbuildings such as sheds are not safe from severe winds, and when one of those start flying, some kind of damage is almost guaranteed. It is essential insure these types of buildings are well secured. 2. Keeping up on home maintenance is also key in staying ahead of the storm. As far landscaping goes, you can trim off the dead tree limbs and remove them along with any other brush or large branches in the yard. Large trees planted near the house are not recommended, as they can fall over onto the home during high winds. Other types of storm-ready maintenance pertains to objects with potential to repeatedly bang against the exterior of the house, such as loose roofing materials, siding, spouts, gutters, and cables. Make sure that the gutters and spouts are also clear of blockages so that they will function correctly when hit with lots of rainfall. 3. Reinforcing windows and doors (especially garage doors) is another great way to protect your home from from storm damage, but the task is not a home DIY project. A professional installation is necessary, and for this reason we only recommend this option for only those living in areas that are frequently affected by severe storms. In the event that you experience water damage, you can avoid serious problems by calling us immediately, as mold can begin to form within 24-48 hours. While we also offer mold remediation services, we are a family owned business and would prefer to see homeowners avoid the costs and health problems associated with mold altogether. Following these guidelines you can drastically reduce the risk of storm damage during inclement weather, but there is no way to guarantee your house will be unaffected. If your home has been battered by wind, rain, or hail, the Disaster Doctors are here to help. We understand the urgency of these situations, which is why our certified water damage experts are available 24/7 and can be at your door in an hour or less. We are happy to work with your insurance and bill your provider directly. Call us anytime at 801-210-1988 for an instant quote.